Houston Florist - Flower Delivery by River Oaks Flower House, Inc.
ABOUT US | HELP Best Florist in Houston TX area River Oaks Flower House is Houston’s leading local florists delivering the finest, fresh flowers, flower arrangements, plants, orchids, sympathy flowers, wedding flowers, bridal bouquets, cake decorations, and centerpieces in the Greater Houston area. Our specialty services have been designed to make it easy for customers to find products that blend with any occasion. Expressing your feelings is beautifully done with River Oaks Flower House, especially with a dozen long stem red roses on Valentine’s Day, a breathtaking bouquet of anniversary flowers, or a heartfelt funeral flower arrangement designed from our professional florists. No matter what message you want to send, our arrangements will convey it with our dedication to creating beautiful and unique flowers. Our hand-arranged flowers in Houston are available in a wide variety of combinations and styles to match every type of occasion. 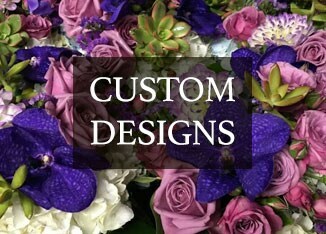 At River Oaks Flower House, we are happy to create a custom design if you have not been able to find something through our gallery of floral arrangements online. We only use the freshest flowers that are carefully transported so they look their best upon arrival and for many days afterward. Quality Flowers Delivered with Care Unlike national florist chains, River Oaks Flower House hand-delivers our floral bouquets, gift baskets, and plants to any city in the United States. We want your loved ones to feel special by experiencing a florist delivery service that cannot be compared to any other flower shop in Houston. When you order from us, we take pride in choosing the freshest flowers, arranging them elegantly, and choosing the perfect vase to compliment the arrangement. 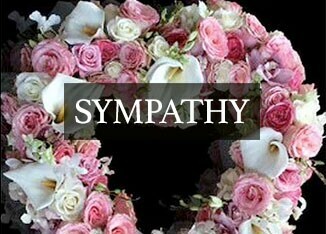 We personally deliver all of our flowers to ensure they arrive in mint condition. Surprising a loved one with a flower arrangement can brighten any one’s day and is the perfect option for a last-minute gift to give encouragement or show that you are thinking about them. We offer same-day delivery with flowers that are fresh and skillfully arranged. Our online check-out process is easy so your order is quickly processed, which lets us begin to create the perfect flower arrangement. 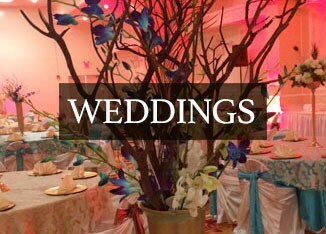 Exquisite Custom Flower Arrangements We are a local Houston florist that can accommodate orders of all sizes. Our trusted delivery service means you do not have to worry about missing centerpieces or flower bouquets for a wedding, funeral, or special event. Our custom flower arrangements let you choose exactly what you want to include so you do not have to settle for second best. Our gallery of arrangements can be used as a guide to help you select which flowers to use or, at the very least, give you a starting point to decide which colors work best with others. River Oaks Flower House has a staff that is dedicated to continue learning new ways to design modern and traditional flower arrangements, gift baskets, and bouquets so recipients are given immaculate flowers and gifts that leave a lasting impression. We offer a selection of different floral arrangements that range in style, size, and occasion to help customers select which one suits their needs the most. 77401, 77096, 77031, 77036, 77071, 77074, 77042, 77063, 77057, 77056, 77098, 77019, 77080, 77018, 77077, 77092, 77091, 77040, 77060, 77010, 77477, 77478, 77498, 77099, 77060, 77073, 77090, 77027, 77008, 77002, 77001, 77003, 77004, 77006, 77019, 77007, 77009, 77005, 77030, 77046, 77098, 77055, 77080, 77043, 77079, 77024, 77056, 77057, 77063, 77042, 77081, 77025, 77054.